Many people who buy short sales feel confident that they are getting a bargain. The bank approves the deal after months of waiting, and then the buyer gets started with the inspection and the appraisal. Bad news, however, may ensue when the buyer’s loan appraisal comes in at a value below the approved short sale price, which is just another reason why real estate agents (and just about everyone) hates short sales. 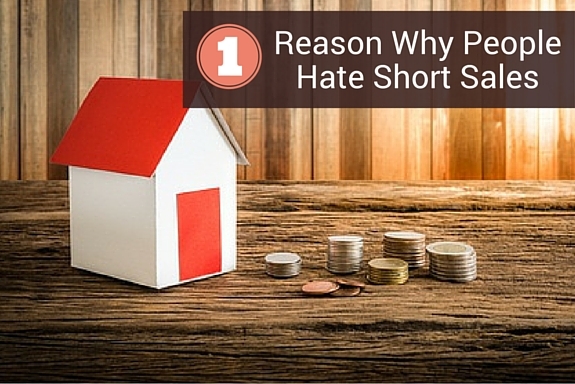 There are many reasons the appraisal comes in lower than the approve short sale price. First, it’s possible that the comparable properties identified by the appraiser were not good model matches for the subject property. Second, it’s also possible that in a heated moment of multiple offers, the buyer agreed to purchase the property for above the sales price—resulting in the offer amount being above market value. Many lenders and loan officers will not permit a homebuyer to purchase a property for more than the appraised amount. So, what happens next? Does the buyer cancel? Will another buyer purchase the property for the bank’s approved price? The truth is that in most cases the short sale lender may actually reapprove the short sale at the appraised value, and it may not even take that long to get that done. Effective short sale negotiators can submit the appraisal to the short sale lender for their review. Once submitted, it will likely take less than three weeks for a new review and a new short sale approval letter. It’s that simple. Watch out, however, for Fannie Mae. They are often a little less interested in adjusting their approved prices to match the appraisal than the other lenders. Caveat Emptor, I suppose.